Rewards Canada: May 3 Update: Targetted Esso Bonus Aeroplan mile offer, new RBC page on Rewards Canada, lots of great bonuses! 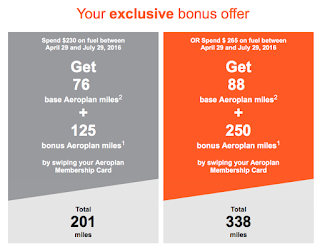 May 3 Update: Targetted Esso Bonus Aeroplan mile offer, new RBC page on Rewards Canada, lots of great bonuses! 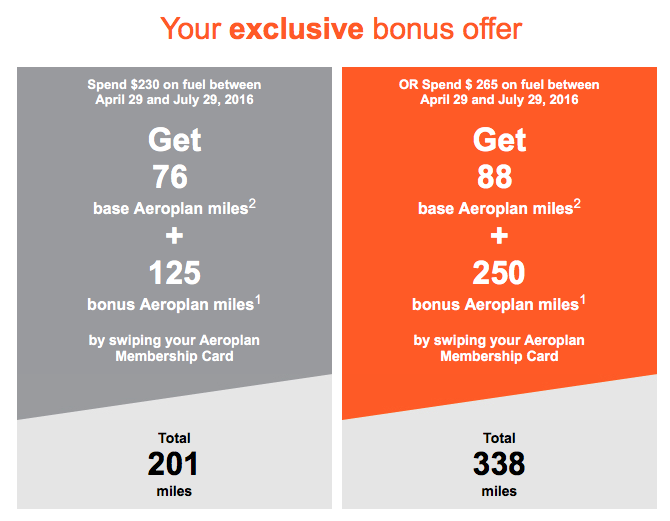 Aeroplan is sending out some targeted customized offers for bonus miles at Esso. Our reader Randy M. forwarded it to us to check. I personally did not receive one but be sure to check your email to see if you have been targeted for this offer. InterContinental Hotels Group is the latest chain to offer a discount that is exclusive to members of their loyalty program. Your Rate by IHG® Rewards Club will launch at IHG hotels in the Americas and Europe. It will be rolled out across the remainder of IHG’s estate in Asia, the Middle East, Africa and China later in the year. The new member benefit will be tailored to reflect the local dynamic in individual regions and markets. Of course this means the discount will fluctuate. I have found with other chains that the AAA rate tends to be better than the member rate when it is available. There is no deditacted landing page for the new rate however when you search for hotels on IHG and are signed in you should be able to see the rates if they are available.